Goebel Hearing Center offers comprehensive hearing testing by a Board Certified licensed clinical audiologist. Specializing in adult digital hearing aid fittings. 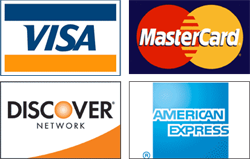 Also we offer hearing aid repairs and free hearing aid cleanings. Hearing aid battery sales and assistive listening devices. We have all styles of hearing aids and all levels of technology. We offer the latest technology, including hearing aid wireless and hearing aid Bluetooth compatibility, at affordable prices. Goebel Hearing Center can make many custom products including musician monitors, swim molds and custom ear protection. All of our hearing aids have a 3 year warranty and our full money back trial period assures satisfaction. All testing is performed in a certified sound booth and fittings are verified with speech mapping. 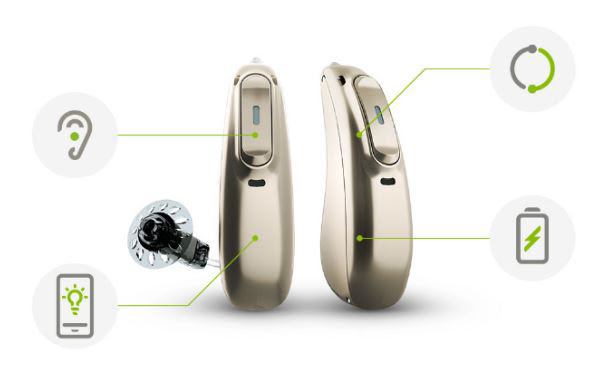 Phonak announced the unveiling of Marvel — a no-compromise hearing aid family with exceptional sound quality and universal Bluetooth® connectivity. 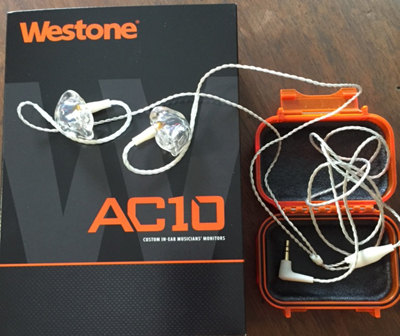 It’s not just a great hearing aid. It’s a multifunctional marvel. 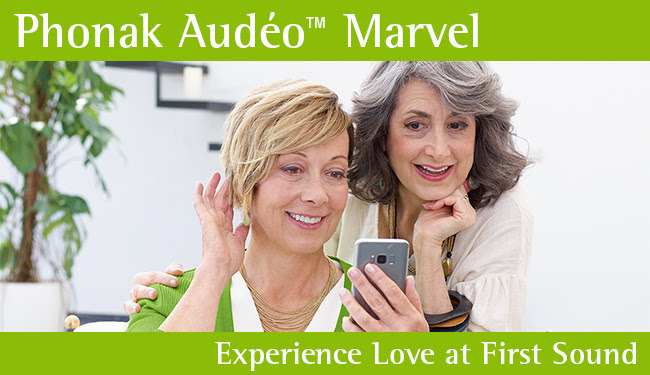 Available in late November, Phonak Audéo™ Marvel focuses on what patients expect from a first-class hearing aid: a clear, rich sound experience. Combined with modern technology, it is a multifunctional hearing aid that conveys love at first sound. Clear, rich sound in every environment, thanks to AutoSense OS™ 3.0 developed with Artificial Intelligence. Connectivity to any Bluetooth® device for streaming audio content to both ears, including TV, music, eBooks and more in top-rated sound quality. Hands-free calls to both ears from iPhone, Android or any other Bluetooth®-enabled devices. 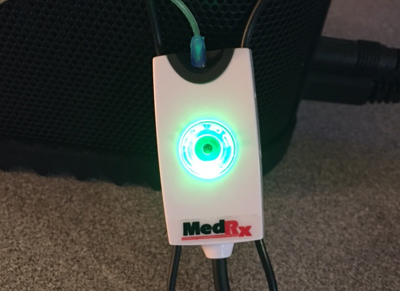 Rechargeable option available for a full day of hearing including streaming, now with the option to turn on automatically out of the charger. eSolutions with Smart apps enable remote fine-tuning and live phone call transcriptions. We offer a full range of custom made products including IIC (Invisible-In-Canal) hearing aids, custom swim molds, Musician Monitors, DefendEar products and virtually ear molds for any application (Blue Tooth headsets, MP3 headsets). 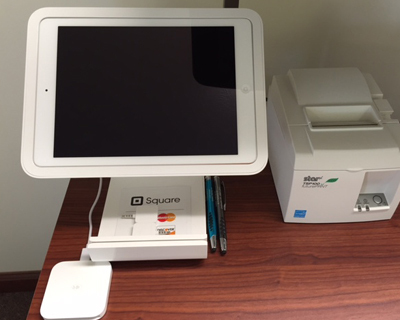 Our new Square credit card processing equipment allows us to accept Discover and American Express in addition to Visa and MasterCard.